According to our source, the inauguration was planned for January 30 but had to be pushed to the first week of February for the convenience of authorities in the Ministry of Urban Development (MoUD). They are now considering two dates, February 6 or 10. The function will take place at the Chennai Central Metro Rail station, for which arrangements have already begun. The Tamil Nadu government had extended the invitation to the Ministry of Urban Development two weeks ago. 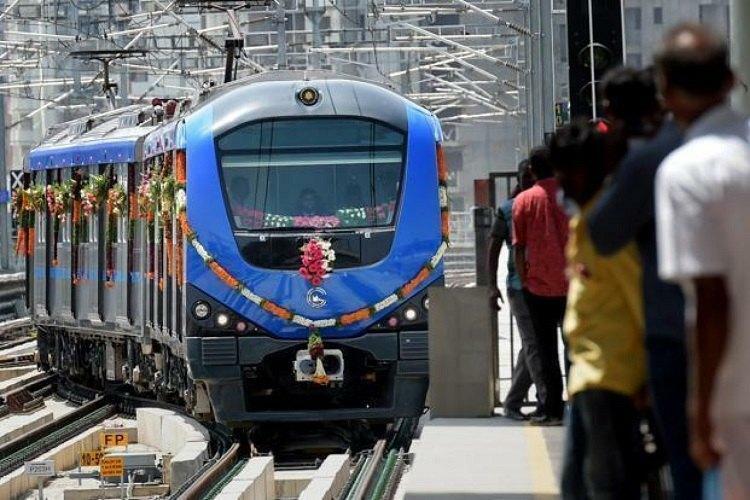 Union Minister of State (Independent Charge) Housing and Urban Affairs Hardeep Singh Puri and Chief Minister Edappadi K. Palaniswami will inaugurate the new stretch that marks the end of phase I project of the Chennai Metro Rail. “Since Parliament is in session, they [the authorities in MoUD] wanted the ceremony to be shifted to February,” a source said. Though there were rumours that Prime Minister Narendra Modi might participate in the function, sources clarified that he will not be present. The Commissioner of Metro Railways Safety, Shri K.A. Manoharan, CRS/S. Circle, Bangalore along with his team Inspect AG-DMS to Washermanpet on 19-01-2019 and 20-01-2019. Meanwhile, the Commissioner of Metro Rail Safety (CMRS), who inspected the stations and tunnels along 10-km stretch from AG-DMS to Washermanpet, will once again come to the city on Friday for more checks. The CMRS team had pointed out some infringements in structures and incomplete work such as installation of false ceiling at the LIC and Thousand Lights stations. “The CMRS team is returning to check if the corrective actions that had been recommended have been carried out. If the CMRS is satisfied with the work, then we are likely to get the final mandatory approval certificate in a few days,” another source said. If Chennai Metro Rail gets this certificate, the stretch will be ready for operations and can be inaugurated. When this stretch opens, all 45 km of the phase I project will be operational. Chennai Metro Rail plans to increase the frequency of trains and timings too.